SO I know I said that I’d have this post up “soon”. A week is “soon”, right? Anyway. We had some really great moments at the Launch Party. Many many many thanks to Adobe Books for being fabulous hosts. Thanks to the Forum Staff who came early to set up (and to Jeremy Williams, who organized the whole thing). Thanks to Jackie Davis-Martin and Saramanda Swigart for beautiful featured readings. And gigantic thanks to everyone who read, and everyone who came! Look at all these beautiful, amazing human beings! I hope everyone who came left satisfied, and everyone who didn’t have a chance to come can come see us at the next event~! Forum Magazine Spring 2017 Launch Party! The CCSF Forum Magazine invites you to the Spring 2017 launch party. The night will have readings by contributors, local poets, and an open mic. Copies of our new spring issue will be available for purchase! 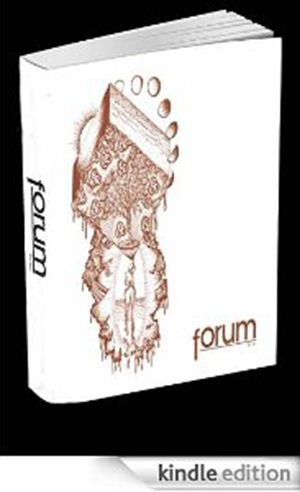 Forum Magazine is a student-produced publication of the City College of San Francisco which publishes quality non-fiction, fiction, poetry, and visual arts from across the Bay Area and beyond. Harold Bloom’s interviews in which he speaks of his disdain for the school of thought he refers to as the “school of resentment” have always weighed heavily on my mind. Bloom has always served as a beacon of sorts in my literary journey. I’ve been taught to use him as the primary source for literary criticism since I was 14. As far as I knew, his word was the law. The “school of resentment” was first mentioned by Bloom in the introduction to his 1994 work, The Western Canon: The Books and School of the Ages. He claimed he sought to protect the Western canon from the leftist vigilantes who wanted to infuse the canon with minorities and women, regardless of their aesthetic merit. Of course, this was nearly 20 years ago. But living in San Francisco in 2011, it’s impossible not to question how much water this “school of resentment” holds. One of the biggest sources of pride here at City College is that the school created the first Gay and Lesbian Studies department in the United States back in 1989 — not to mention the school’s longtime, tireless work to promote equity and inclusion among all students. And the reason we’re so proud of it is that if we didn’t do it, no one might have.